NEVER BEFORE HAS ONE PRODUCT DONE SO MANY THINGS! From the “DIY” home handyman, to the professionally-trained industry technician, LLFA is an essential commodity in any repairman’s toolbox! It is an extremely versatile product with many different uses and functionalities. The strength of LLFA makes it both a competent insulation solution and an invaluable puncture repair product. 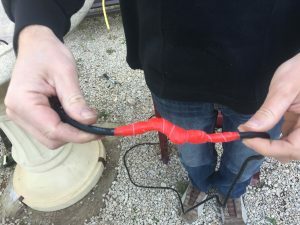 A punctured hose or pipe tightly wrapped with LLFA Tape will immediately withstand internal pressure because the fusing action takes place so quickly. 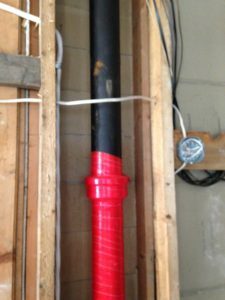 It can stop nasty leaks without having to turn off the water source. (*For more information on how LLFA Tape works, click on the “Product” link). 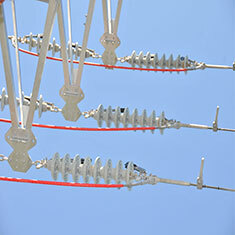 Like an Olympic gymnast, LLFA Tape is strong (tensile) and flexible. These two characteristics are valuable for creating a long-term solution which helps ensure additional repair is not required. Even after a 20-year lab aging test, LLFA Tape remains strong. 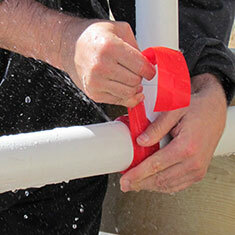 LLFA Tape is both waterproof and heat resistant. 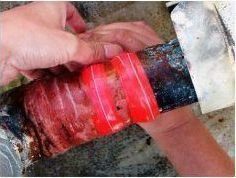 Unlike LLFA Tape, other products are less effective in extreme cold or humid conditions. LLFA Tape maintains temperature stability and can be stored on the dashboard of your truck on the hottest day, or in your toolbox on the coldest night. 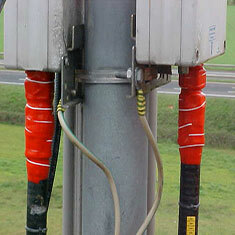 LLFA Tape is easily applied, durable and resilient. It is environmentally safe and non-toxic. Get creative! LLFA Tape is a multi-purpose product with many functions. It can even be used for home DIY projects, such as making pot holders or wrapping around pan handles to prevent heat transmission. No matter how big or small the task, LLFA has a solution for you! For over a decade, GTG Engineering has been striving to ensure our LLFA products are well-designed, scientifically manufactured, and comprehensively tested to meet or exceed industry standards. Our company’s primary goal is to establish product solutions that are safe and durable for practical application, while maintaining their long-term functionality and structural integrity. GTG operates with numerous quality control measures in place to verify that our products are manufactured, packaged and distributed in a consistent, efficient and timely manner. We adhere to commercial regulations and standard safety practices to ensure that our LLFA solutions perform to the highest standards of excellence, while also providing value and profitability to our customers.